I bought this phone when it was launched, it is perfectly finished, was a flagship phone at that time, but many phones are available with better specifications. The Motorla Moto Z is a smart buy to be a standout from the crowd. It&apos;s truly premium and of it&apos;s own league with the mods ecosystem. Definitely future proof. Just a few unpolished issues , but better than most of its competitors. Hardware overkill for daily used apps. Smooth near stock Android user experience. 4 Pricebaba users have written their experience with Motorola Z 32GB. If you own Motorola Z 32GB, please do leave your feedback too. 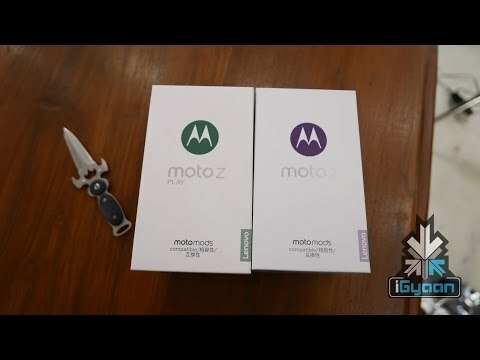 The Motorola Moto Z has replaced the Motorola Moto X as the flagship offering from the labs of Motorola and Lenovo. The smartphone takes heavy design cues from the already announced Motorola Moto G4 Plus but adds a feel of premium-ness and modularity to it. These modules, called the ‘Moto Mods’ are separately available accessories that add functionalities such as extended battery life, louder speakers and even projector to the phone. The Motorola Moto X is not the first modular phone as that bragging right, belongs to the LG G5, yet it is perhaps the simplest modular phone so far. Aforementioned, the design of the Motorola Moto Z is very similar to the Motorola Moto G4 Plus, but a little more premium. For a start, the Moto Z is incredibly thin at 5.2mm and has an all metal body. There is a Moto branding on the front of the phone too. Above it, is the 5.5 inch Quad HD display, with an AMOLED screen protected by Corning Gorilla Glass. This gives the phone a sharp pixel density of 535 PPI, which is in line with what most of the flagships of 2016 are offering. With such a high pixel density, consuming media and reading text on the device should be a wonderful experience. Powering the Motorola Moto Z is the top of the line Snapdragon 820 chipset, clocked at 2.2GHz. There is 4GB of LPDDR4 RAM on board and together, they should be able to handle pretty much any task you throw at the smartphone. As alluded to, the Motorola Moto Z is a modular smartphone, so you would be able to purchase the available modules such as Moto Insta-Share Projector, JBL SoundBoost, Moto Shells etc and attach them to the phone using the 12 pins at the back of the device. Motorola has also claimed that the phone is water repellent and for additional security, you also have fingerprint scanner on the front of the device, just below the display. On the software side, you have Android 6.0.1 Marshmallow. Camera performance has always stood out like a sore thumb for Motorola but at least on paper, the camera on the Motorola Moto Z is impressive. The device comes with a 13MP rear camera with OIS, Laser Auto focus and f/1.8 aperture. It is accompanied by a dual tone LED flash. The front facing camera is made by keeping the selfie enthusiasts in mind. You have a 5MP sensor with a wide angle lens and f/2.2 aperture. On the storage front, you have an option of picking either the 32GB version or the 64GB variant. This should not be much of a struggle as you do have a dedicated slot for Micro SD card, which supports up to another 2TB of storage. The battery on the Motorola Moto Z is not something that would classify it to be a big battery phone. It comes with a 2600 mAh battery with Turbo charging enabled for a fast charging experience. You can obviously add one of the external mods for a better battery backup on the phone. On the connectivity front, you get a USB-Type C port at the bottom and no 3.5mm headphone jack. The phone does come with an adapter, so you can still use your current headphones with the device, though you can obviously not charge your phone simultaneously. Moto Z will support LTE globally and in some markets will be available with Dual SIM configuration too. The usual set of connectivity options like Wi-Fi, Bluetooth, GPS etc are all included. The Motorola Moto Z competes with the LG G5 as a true modular flagship smartphone. While Motorola’s implementation is simpler, LG will always claim the title of being the first one to the party. Other flagship phones of 2016, such as the HTC 10, Samsung Galaxy S7 and the Xiaomi Mi5 would be good alternatives to the Moto Z. If you are looking at a more robust version of the Moto Z, you could also check out the Moto Z Force.